Happy business person walks downstairs in hurry movement with tablet. 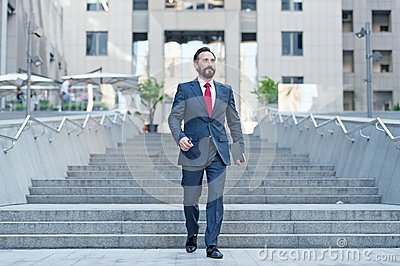 Young contemporary businessman walking outdoor in the city with ipad in hand. Business, work, communication concept.